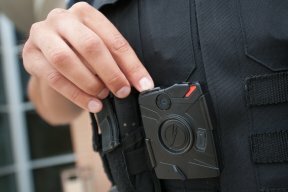 Mayor Rahm Emanuel and Police Superintendent Eddie Johnson announced that all patrol officers in Chicago are now equipped with body cameras as part of ongoing police reform efforts. The final police districts, Calumet (5), Near West (12), Albany Park (17) and Grand Central (25), have come online – all one year ahead of schedule. 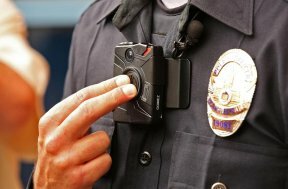 With this implementation, the Chicago Police Department (CPD) has become the largest deployment of body worn cameras in the nation. In total, more than 7,000 sworn CPD personnel, including all district-assigned CPD officers, tactical officers and supervisors, are now equipped with body worn cameras. The program is part of the Department’s commitment to reinforce CPD’s crime fighting and investigatory tools, increase transparency and accountability, promote the safety of officers and residents, and rebuild trust with the communities that police serve. In 2015, CPD launched a body worn camera pilot in the in the Shakespeare (14) district on the Northwest Side and expanded to six more districts in 2016. While the initial rollout was planned over two years, at the end of 2016, CPD announced the expedited expansion and completed the rollout one year ahead of schedule. Since then, officers have taken more than one million segments of footage.